The Soncino family derived its name from the town of Soncino, in the Duchy of Milan. The family traces its descent through a Moses of Fürth, who is mentioned in 1455, back to a certain Moses of Speyer, of the middle of the fourteenth century. The first of the family engaged in printing was Israel Nathan ben Samuel, the father of Joshua Moses and the grandfather of Gershon. He set up his Hebrew printing-press in Soncino in the year 1483, and published his first work, the tractate Berachot in February 1484. The press was housed at various locations during its existence. It can be traced at Soncino in 1483-86; Casal Maggiore, 1486; Soncino again, 1488-90; Naples, 1490-92; Brescia, 1491-1494; Barco, 1494-97; Fano, 1503-6; Pesaro, 1507-20 (with intervals at Fano, 1516, and Ortona, 1519); and Rimini, 1521-26. Members of the family were at Constantinople between 1530 and 1533, and had a branch establishment at Salonica in 1532-33. Their printers’ mark was a tower, probably connected in some way with Casal Maggiore. The last of the Soncinos was Eleazar ben Gershon, who worked at Constantinople from 1534 to 1547. The transfer of the press operations must have had to do with censorship and with the large demand of Hebrew books that could not be satisfied in Italy. While devoting their main efforts to Hebrew books, they published also a considerable number of works in general literature, and even religious works with Christian symbols. The Soncino prints, though not the earliest, excelled in their perfection of type and their correctness. The Soncino house is distinguished also by the fact that the first Hebrew Bible was printed there. An allusion to the forthcoming publication of this edition was made by the type-setter of the “‘Iḳḳarim” (1485), who, on page 45, parodied Isahia ii. 3 thus: “Out of Zion shall go forth the Law, and the word of the Lord from Soncino”. Abraham b. Ḥayyim’s name appears in the Bible edition as type-setter, and the correctors included Solomon b. Perez Bonfoi (“Mibḥar ha-Peninim”), Gabriel Strassburg (Berakot), David b. Elijah Levi and Mordecai b. Reuben Baselea (Ḥullin), and Eliezer b. Samuel (“Yad”). Died in Brescia, probably in 1492. He wrote the Epilogue for the Casal Maggiore Mahzor of 1486. It was at his suggestion that his son Joshua Soncino took up the work of printing. Printer in Soncino from 1483 to 1488, and in Naples from 1490 to 1492. He was the uncle of Gershon Soncino. It would appear that he had the most to do with starting the printing of the Talmud. Also appears as Jeronimo Girolima Soncino or Girolamo Soncino and Hieronymus Soncino. Among the biographies of famous persons of Soncino, Paolo Ceruti states: “Gershon was the son of Mosè, and grandson of Israele Nathan, who was son of Samuele, who was son of another Mosè, whose family had originated in Speyer”. He was said to be five generations descendant, or great-great-great-grandson of the printer Giosua Salomone. Ceruti states that in addition to Hebrew, Joshua knew Latin and Greek, and had for teachers the French Rabbis Belvenia, Terabóth, Merabel, and Mosè Bazla. He traveled to Savoy, Geneva, and France in search of manuscripts. 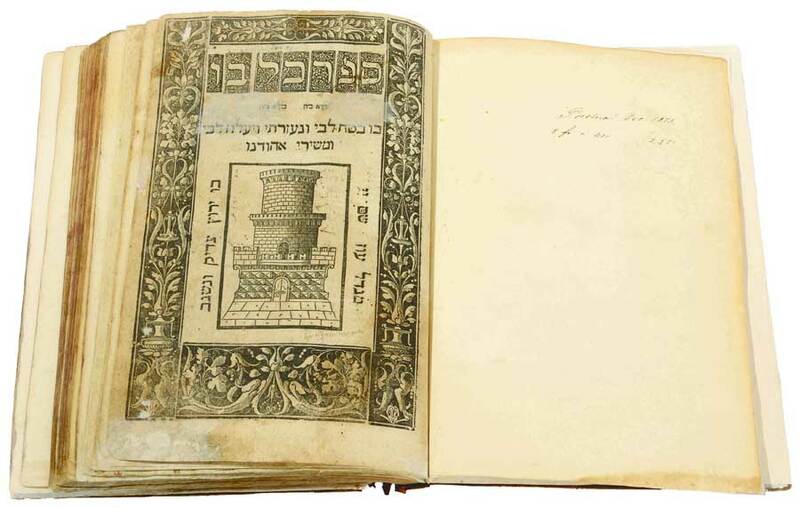 He specialized in publishing Talmudic texts, but printed other genres. His first printing was of a book, Praeceptorum Kotzensis, from 1488. By 1490, for unclear reasons, he moved to Brescia. There, in 1491, he published Mecahabberóth seu poeticarum compositionum by Rabbi lmmanuel. This was followed by a series of texts from the Torah (Pentateuco or Pentateuch): Meghilloth, seu sacris voluminibus and Aphtaróth, seu Prophetarum lectionibus. His output was prodigious, and his life peripatetic Subsequent printings occurred in Fano, Pesaro, Ortona, Rimini, Thessalonica, and finally Constantinople. The most important member of the family; born probably in Soncino and died in Constantinople in 1533. He claims to have been of great assistance to the exiles from Spain, and especially to those from Portugal; and he made journeys to France in order to collect manuscripts for the works to be printed. He makes a pun upon his name by printing it as two words, “Ger Sham,” referring to his many travels. In dedicating his edition of Petrarch (Fano, 1503) to Cæsar Borgia, he mentions that he had had Latin, Greek, and Hebrew types cut out by Francesco da Bologna, who is credited also with having made the cursive types attributed to Aldus Manutius. It is curious that Aldus, for his introduction to a Hebrew grammar (Venice, 1501), used the same types that had been employed by Soncino in 1492. Printer between 1534 and 1547. He completed “Miklol” (finished in 1534), the publication of which had been begun by his father, and published “Meleket ha-Mispar,” in 1547; and Isaac b. Sheshet’s responsa, likewise in 1547. Printer at Salonica in 1526 and 1527; assisted in the printing of the Catalonian Mahzor and of the first part of the Yalkut. 1. Talmud, Berachot. Soncino (published), Feb. 2, 1484; (finished) Dec. 19, 1483. 3. Ibn Gabirol, “Mibḥar ha-Peninim.” Soncino, Jan. 14, 1484. 4. Jedaiah Bedersi, “Beḥinat ‘Olam.” Soncino, Dec. 12, 1484. 6. Jacob b. Asher, “Oraḥ Ḥayyim.” Soncino, 1485 (?). 9. Maḥzor, Roman rite. vol. i. Soncino, Oct., 1485; Casal Maggiore, Aug., 1486. 11. Joseph Albo, “‘Iḳḳarim.” Soncino, Dec. 29, 1485. 19. Talmud, Baba Meẓi’a. Soncino, 1487. 21. Bedersi, “Baḳḳashat ha-Memin”; Ezobi, “Ḳa’arat Kesef.” Soncino, 1488. 22. M. Ḳimḥi, “Mahalak Shebile ha-Da’at.” Soncino, 1488. 24. Moses de Coucy, “Semag” (2d ed.). Soncino, Dec. 19, 1488. 29. “Tefillah Mikol ha-Shanah.” Soncino, 1490 (?). 30. 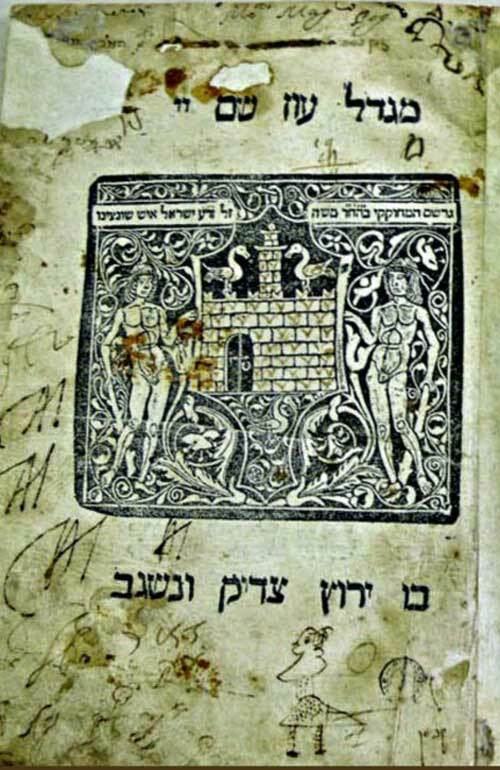 J. Landau, “Sefer Agur.” Naples, 1490 (?). 31. Jacob ben Asher. “Arba’ah Turim.” Soncino, c. 1490. 32. Maimonides, “Mishneh Torah.” Soncino, March 23, 1490. 34. Isaac ibn Sahulah, “Mashal ha-Ḳadmoni.” Soncino, 1490-91. 37. Immanuel Romi, “Maḥberot.” Brescia, Oct. 30, 1491. 51. Hai Gaon, “Musar haskel.” Fano, Oct. 17, 1504. 53. Eleazar of Worms, “Sefer ha-Roḳeaḥ.” Fano, 1505. 55. 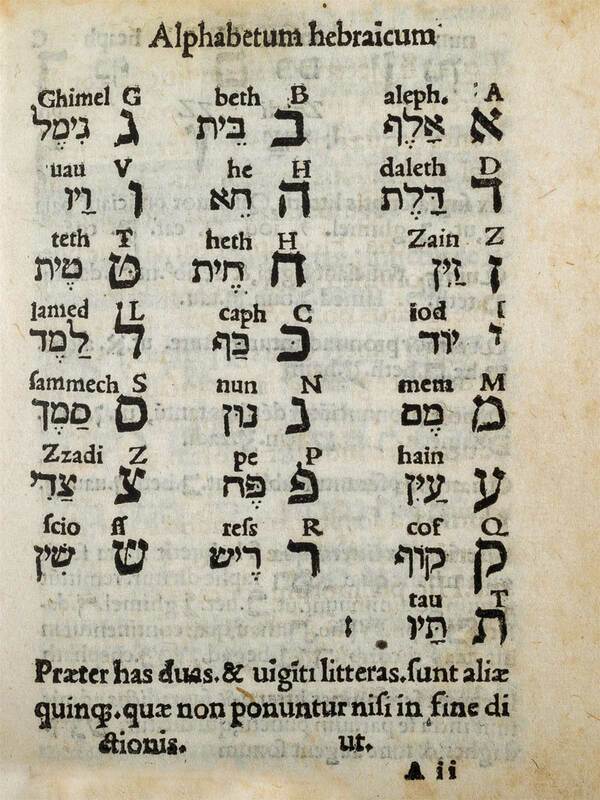 Joseph Albo, “Sefer ‘Iḳḳarim.” Fano, 1506. 56. Judah ha-Levi, “Cuzari.” Fano, 1506. 59. Jonah Ghirondi, “Sha’are ha-Teshubah.” Fano, 1504-6. 62. “Petah Debarai.” Pesaro, 1507-8. 63. Ḳimḥi, “Diḳduḳ” Pesaro, 1508. 68. “Mabo ‘al Otiyyot ‘Ibriyyot.” Pesaro, 1510. 76. Talmud, ‘Abodah Zarah. Pesaro, 1513-14. 80. Talmud, Mo’ed Ḳaṭan. Pesaro, 1515. 83. Talmud, ‘Erubin. Pesaro, 1515. 84. 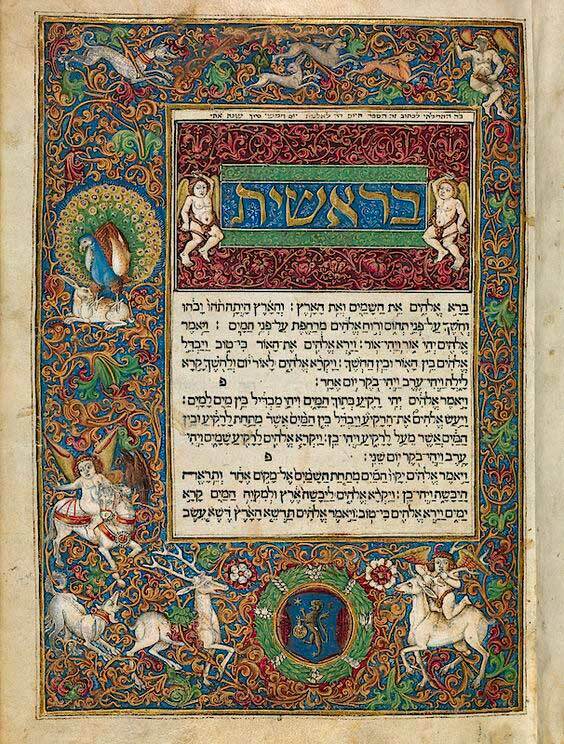 Jacob b. Asher, Arba’ah Ṭurim.” Fano, 1516. 85. Ḳimḥi, “Diḳduḳ.” Pesaro, 1517 (?). 88. Nathan b. Jehiel, “‘Aruk.” Pesaro, Feb., 1517. 89. Ḳimḥi, “Diḳduḳ.” Ortona, 1518. 93. Elijah Levita, “Pirḳe Eliyahu.” Pesaro, 1520. 94. Albo, “Sefer ‘Iḳḳarim.” Salonica, 1520. 97. Yalḳuṭ Shim’oni. Salonica, 1521. 98. Albo, “Sefer ‘Iḳḳarim.” Rimini, 1522. 100. Benveniste, “Meliẓat ‘Efer we-Dinah.” Rimini, 1525. 101. “Kol Bo.” Rimini, 1525. 103. Landau, “Sefer Agur.” Rimini, 1526. 104. Machir, “Abḳat Rokel.” Rimini, 1526. 106. Yalḳuṭ Shim’oni. Salonica, 1526-27. 109. Bulat, “Kelal Ḳaẓer.” Constantinople, 1530-31. 110. Bashyazi, “Adderet Eliyahu.” Constantinople, 1530-31. 111. Hai Gaon, “Musar Haskel.” Constantinople, 1531. 112. Ḳimḥi, “Miklol,” 8vo. Constantinople, 1530-32. 113. Ḳimḥi, “Miklol,” fol. Constantinople, 1532-34. 114. Almoli, “Sha’ar ha-Shem he-Ḥadash.” Constantinople, 1532. 115. Ḳimḥi, “Shorashim.” Salonica, 1532-33. 116. Jabeẓ, “Ḥasde Adonai.” Constantinople, 1532-33. 117. Mizraḥi, “Sefer ha-Mispar.” Constantinople, 1533-34. 118. Rissim, “Derashot.” Constantinople, 1533. 119. Immanuel. “Maḥberot.” Constantinople, 1535. 120. 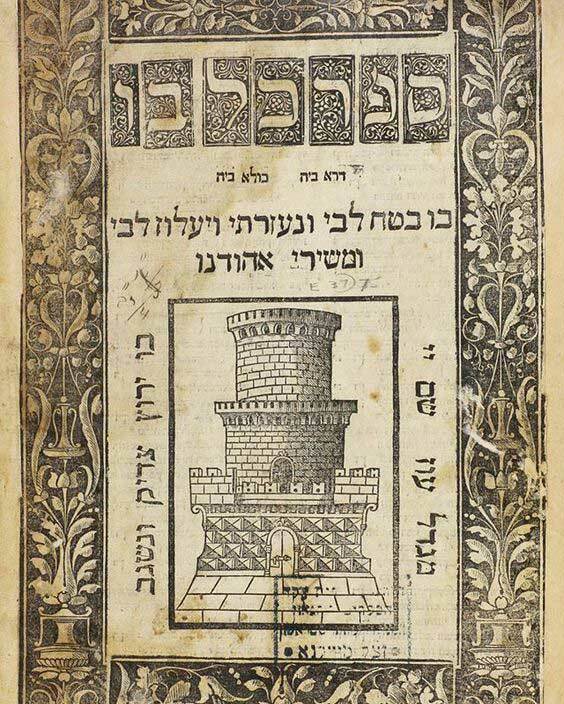 Vital, “Keter Torah.” Constantinople, 1536. 122. Kalaẓ, “Sefer ha-Musar.” Constantinople, 1536-37. 123. Aboab, “Nehar Pishon.” Constantinople, 1538. 124. Shalom, “Neweh Shalom.” Constantinople, 1538. 125. Illescas, “Imre No’am.” Constantinople, 1539. 126. Jacob b. Asher, “Arba’ Ṭurim.” Constantinople, 1539-1540. 127. Algaba, “Amadis de Gaul.” Constantinople, 1540. 128. Ibn Yaḥya, “Leshon Limmunim.” Constantinople, 1542. 129. Shabbethai, “Minḥat Yehudah.” Constantinople, 1543. 130. Shabbethai, “Milḥemet ha-Ḥokmah weha-‘Osher.” Constantinople, 1543. 131. Benjamin of Tudela, “Mas’ot shel-R. Binyamin.” Constantinople, 1543. 132. Ibn Yaḥya, “Shib’ah ‘Enayim.” Constantinople, 1543-44. 134. Solomon ibn Gabirol, “Diwan.” Constantinople, 1545.